One of Britain’s original dance music producers who has since taken his experience as a composer to establish a leading global electronic music publishing company. He is a passionate activist for the rights of electronic music creators to receive fair and equitable remuneration whenever and wherever their work is used. Truelove Music is a full service music publisher with direct affiliation to most international collection societies. Equipped with a full creative team and a dedicated forensic tracking & collection department, Truelove Music identifies and collects royalties for its signed writers & publishers. Best known for his moniker, The Source, under which he released the iconic ‘You’ve Got The Love’, that track remains one of electronic music’s enduring anthems and most successful commercial hits, having reached the top 10 of the UK charts several times since its first release in 1991. Such is the influence of ‘You’ve Got The Love’, that – after the band covered the track – it proved to be the catalyst in the success of Florence & The Machine’s triple platinum selling album Lungs. 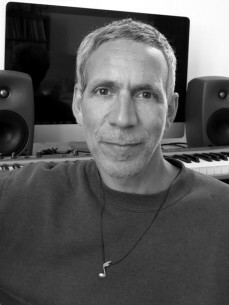 John has leveraged the success of his own work to open many doors for his company’s composers and published catalogues.